At Pinnacle Metal Products, we are committed to providing our customers with the highest level of service. However, we know that you can’t get the best service from like-minded people. Diversity is a benefit, especially in our industry where creativity and innovation is the key to success. That’s why we not only encourage diversity at Pinnacle Metal Products, but we follow through. We have received EDGE certification. 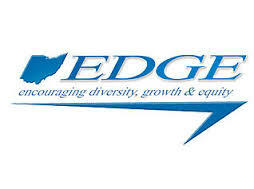 EDGE is the Encouraging Diversity, Growth and Equity Program set up through the state of Ohio. This program strives to give underrepresented and underprivileged groups a chance to demonstrate their skills. In an attempt to broaden the awareness and develop multiculturalism across the businesses of the United States, the state of Ohio reviews businesses carefully that apply for EDGE certification to ensure that they do indeed have managers from socially and economically disadvantaged groups heading their business. The McNeil Group Inc. and Pinnacle Metal Products is EDGE certified. This means that we value others’ opinions, and hope to give opportunities to underrepresented groups. If you have any questions about us or our EDGE certification, don’t hesitate to call us at 1-614-298-0300. We know that more opinions, more diversity, is beneficial to everyone. Customers get more opinions on the architecture of their metal products, other employees get a fresh perspective on business practices, and we all benefit in the end. Work with a company that values diversity. Work with Pinnacle Metal Products.